Helen has always noticed that she was different from everyone else on her small island, Nantucket. Lately though, it's been harder and harder to conceal. She's getting frightened, when her dreams of walking in a dry land leave her parched and dirty-footed in the morning. Along with the nightmares came the Delos family. 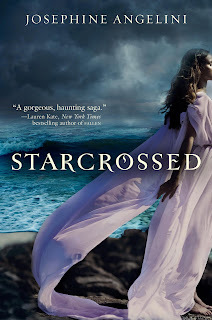 When Helen first sets eyes on Lucas Delos, she has the strongest urge to kill him, and the Furies she sees out of the corner of her eye, urge her on. Helen wants answers, and Lucas has them. So even though they can't stand each other because of fate, destiny still finds ways to bring them together again and again. They both have to figure out what roles they play and if they can play hard enough to trick the fates. If that can't find a way to beat destiny, then history will be doomed to repeat itself. Helen, Helen, Helen, Helen, Helen...the name of the girl that drives me crazy. So let's start off by saying that you find out you have superpowers. You have superhuman strength and superhuman speed and you can hear and see things from a longer distance than normal. I don't see how you could be calm about that. How could you not be freaking out and trying to come up with some explanation? That's one thing I didn't get about Helen, she never lost her calm, even in the face of flying! REALLY?!?!? You can fly and that doesn't freak you out? You find out that Greek Mythology is actually real, and all you can do is shrug? I just couldn't imagine that a teen girl or anyone for that matter, would be calm about all these events unfolding into her lap. Now, onwards...I did like the dynamic between Helen and the Delos family. I like that once their heads were on straight they were fun and protective. I also loved Claire, even though at times she seemed like a nag. She really was a great friend, even with a few tiny marks against her. The action in this book was fun and intense. The romance was strained and sad. Speaking of the romance, I am really curious if the end revelation about their relationship could possibly be true, or if it's just a sneaky lie. I LOVED that this book centered around Greek Mythology and Tales. I absolutely love mythology, so that aspect of the book was wholly enjoyable. There are still some motives I am unclear about, some circumstances and characters I don't have quite figured out yet, so I am excited to dive into Dreamless next year. With all the content and pacing in this novel, I am confused how there will be a third novel. It seems like it could easily be finalized in the second novel, unless book 2 is really short. This was a fun debut, and I can't wait to see what's in store for us with the next installment. "'But if you bought me a car now, it would be yours when I go away to school in two years.'" "She looked down again and realized that the twinkling comma was her beautiful little island home." My WoW + Third Sentence Thursday! I'm hoping to read this one very soon. 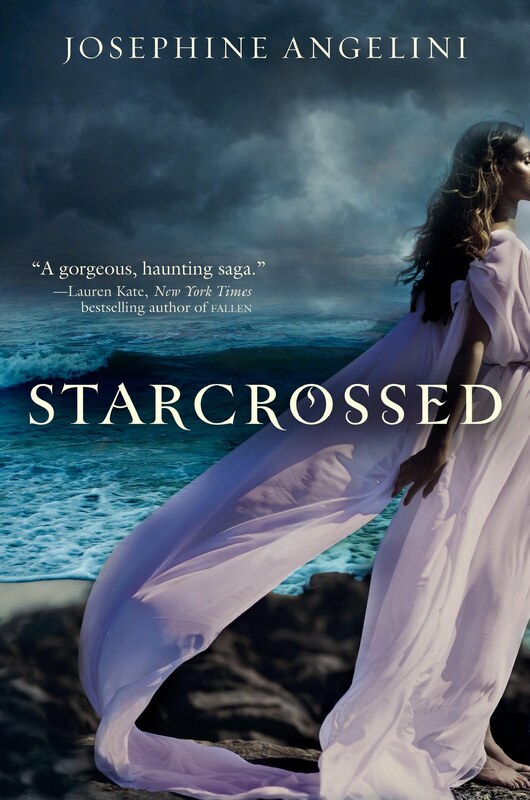 I love stories with mythology mixed in and Starcrossed sounds like it delves right into Greek Mythology. I'm excited to experience that, but hopefully Helen doesn't bother me all that much. I can't imagine anyone being so accepting of sudden superpowers either, but I'm still going to give Helen and her story a shot. Thanks for the review! Also, I have no clue when you changed your blog and how I missed it, but I love the new look. The color scheme looks great and the new header is pretty. I L-O-V-E-D this book! No really, loved it so much that I kept re-reading parts a day after finishing it. This will be one of my top books of 2011. I'm sure of it! I've been a complete fan-girl over this book all week and I will try to get my head together enough to write a review. But first, I must get all of the random, crazy, fan-girly thoughts out of my head.